Year: 1950 Item #: 601 Views: 4,705 Comments: No Comments. 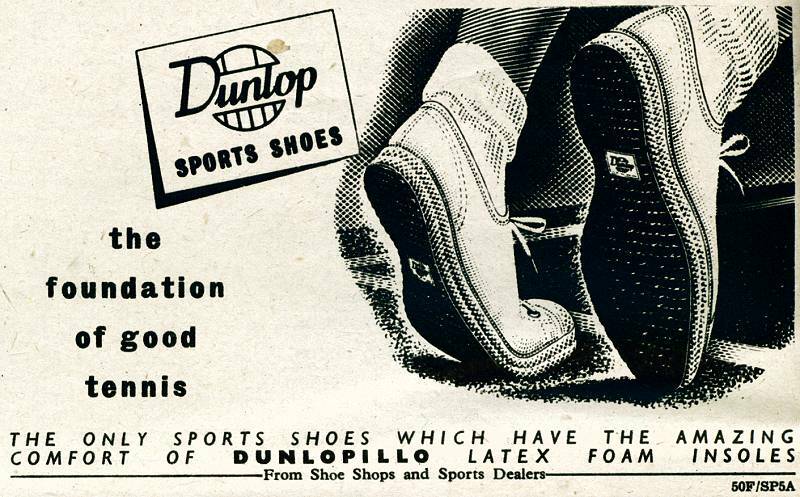 Dunlop Sports Shoes - the foundation of good tennis. The only sports shoes which have the amazing comfort of Dunlopillo latex foam insoles.